Louis Vuitton is a household name in the luxury fashion industry. The iconic “LV” monogram is as timeless as the brand itself, making its appearance on almost every piece that comes out from the fashion house. Ever since the appointment of Virgil Abloh as the house’s creative director back in 2018, LV has been on a steady march upwards into the upper echelons of luxury fashion. It also recently debuted its Fall 2019 collection, Abloh’s sophomore show and now it looks like LV is heading towards the realm of technology as well. Fashion and technology have not always meshed together well but LV is looking to change all that with its first pair of wireless earphones. This is LV’s first ever step towards the tech industry through the audio market. Known as the LV Horizon Earphones, it promises unparalleled audio quality with the help of audio specialist Master & Dynamic. The Horizon Earphones can last you up to three-and-a-half hours of listening time on a single charge. There is also a touch control element that comes with the earphones, allowing you to pick up calls and playback music without looking at your connected device. 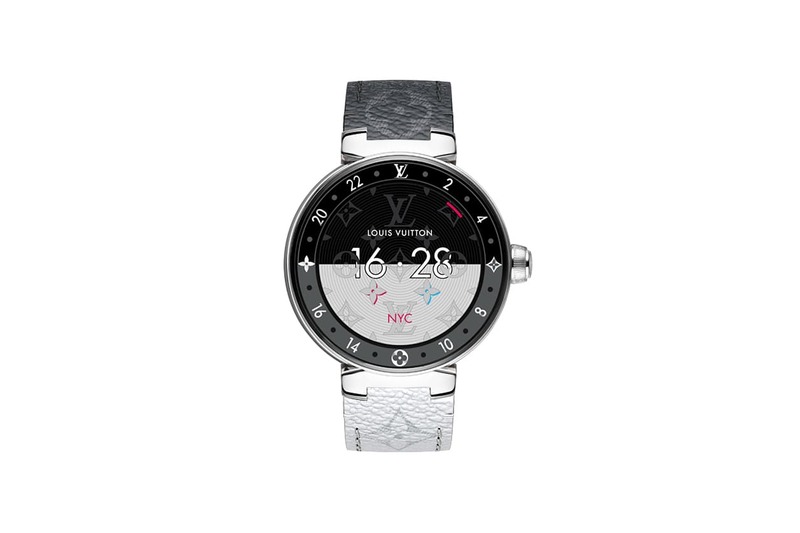 It also comes with its own circular charging case, which features LV’s signature motif on the top dial. The charging case provides the earphones with a total of 20 hours battery life. 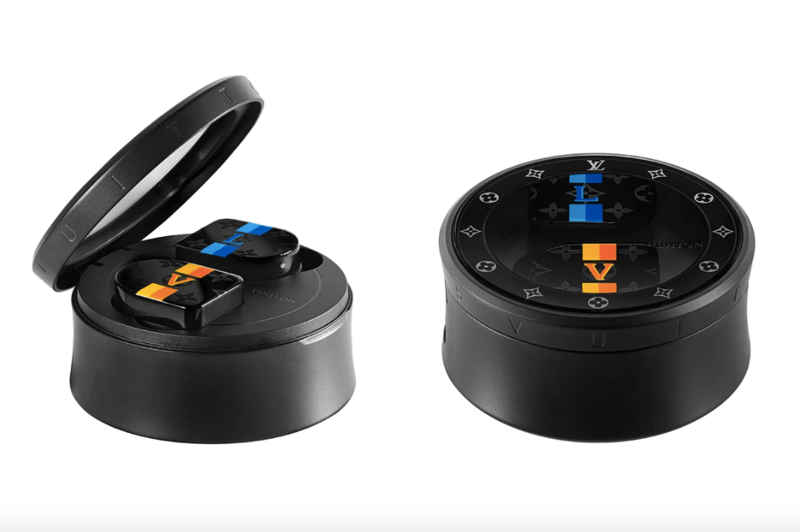 There are four colourways in total for the Horizon Earphones — white, black, white and red monogram, and yellow and blue LV stripes. The earphones pair together with your devices via Bluetooth, which will also work with the soon-to-be-released LV Tambour Horizon smartwatch. 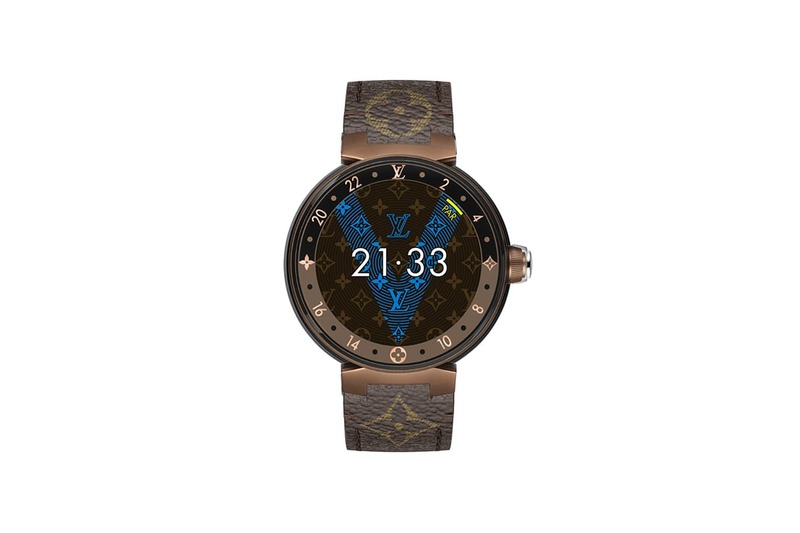 This second generation of smartwatches from LV is powered by the Wear OS by Google, making it much easier to pair with Android devices. 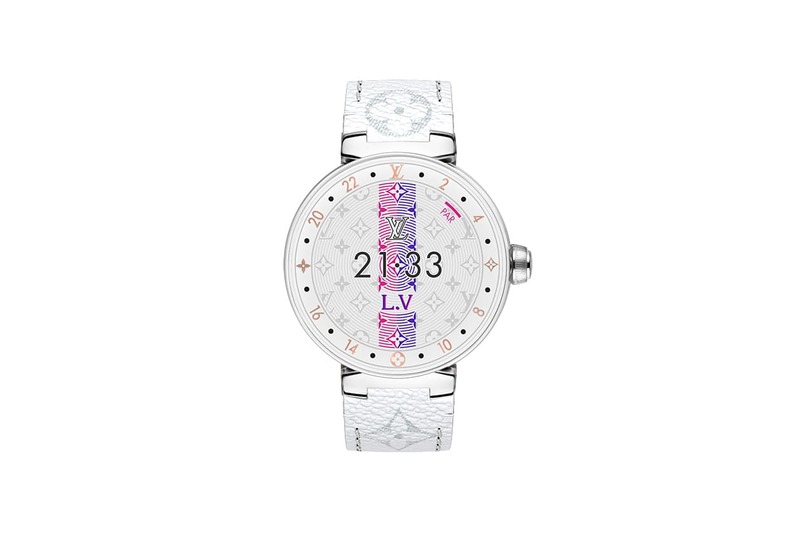 The watch features a 42mm case, which is adorned with various LV logos and motifs. There are a number of apps on the Tambour Horizon, which include a “My Traveller” itinerary face function, an “LV City Guide” app, as well as a “Pollution” feature to monitor the surrounding air quality. 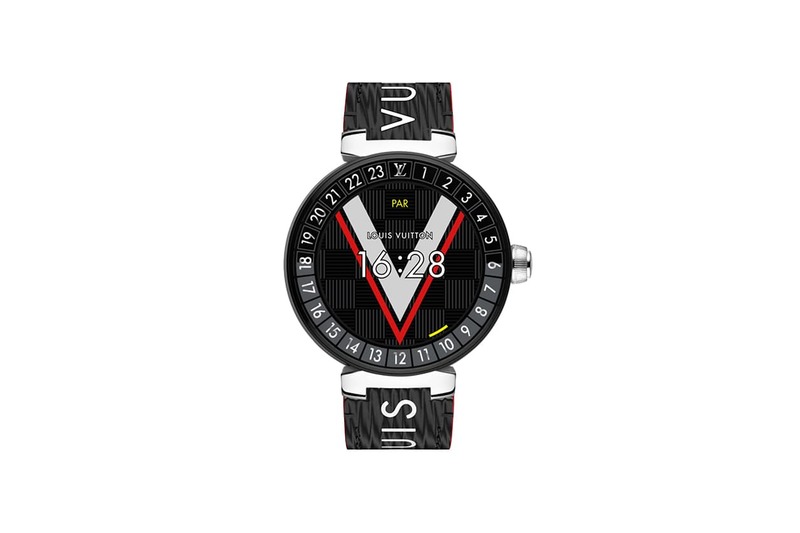 The LV Tambour Horizon smartwatch comes in a variety of materials — polished steel, white ceramic (with or without gem-set horns), matte black PVD, and matte brown PVD. Due to the nature of the materials, the pricing of the smartwatch ranges from US$2,250 and upwards to US$8,500.